Yeison is one of the contributor of Pinguino IDE. He’s the one who wrote most of the Python code in the X.3 version. His new deal is to use Pinguino as a remote controller for a Linux machine. Using this python code you can send a shell command with the CDC module and execute it on your computer. We can imagine an IR receiver connected to Pinguino and use a TV remote controller to drive your computer. Follow Yeison blog to learn more about Pinguino ( in spanish ). HOWTO use the run led !! Sometimes it could be useful to use it as a general purpose led. I am working with a GSM modem and Pinguino. To send command to the modem, i used the UART and AT commands. The problem was to set a correct time out when receiving answer from the modem. I wanted to use the millis instruction, but i was afraid by an overflow of the time variable. The millis instruction in the setup function is just used to initialise the library. _millis variable is already declared in the arduinodelay library. Hope it will be useful for everybody. Now i can run python on my WRT54GL. Everything is ready to drive Pinguino with Python serial and OpenWRT !! This new tutorial is dedicated to the linksys router WRT54GL. 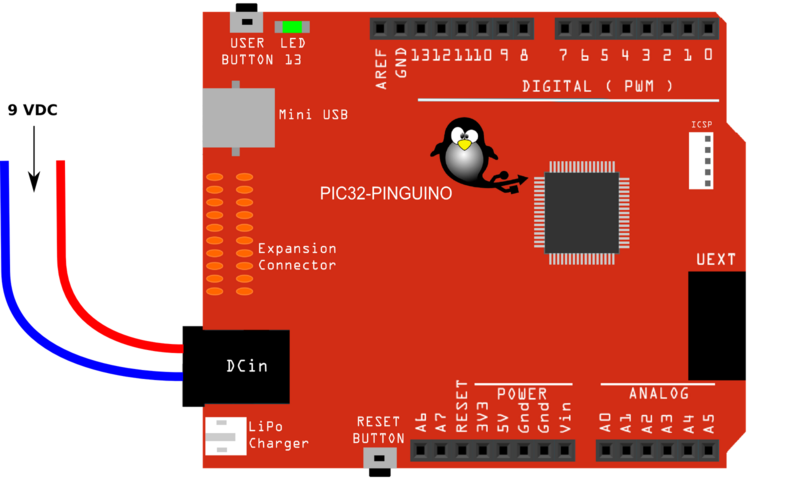 We connected it to Pinguino via is internal serial port. A complete tutorial is on the tutorial website. I discovered JAL and tried to make it usable with Pinguino bootloader. It’s done !! Add the option -loader18 8224 -no-fuse to the JAL command line. 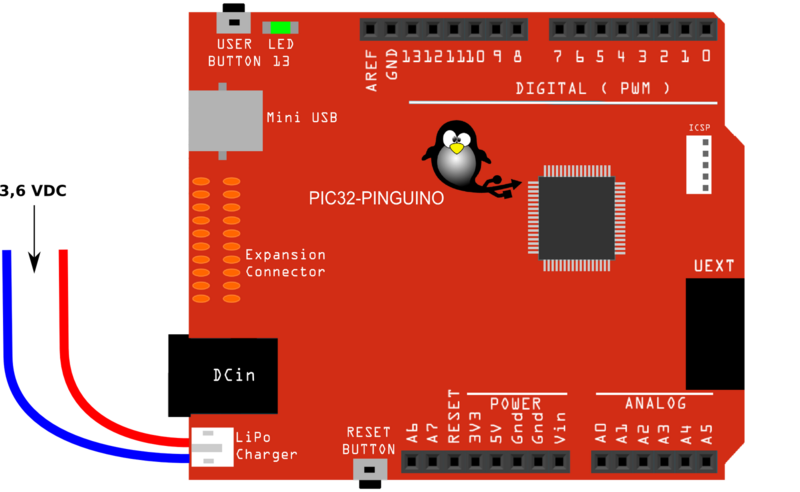 The next Pinguino version will both support Arduino langage and JAL. Thanks to Vasile, Sébastien Lelong and Albert Faber from the jallib group. Yet another walter application. Pinguino is connected to the fonera with the serial port. The Fonera run Lighttpd web server with LUA CGI-BIN. 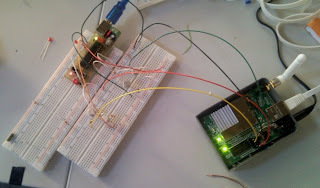 The Iphone is connected to the Fonera web server and drive Fonera GPIO and Pinguino. Thanks for the video Walter, you did a great job……. La fonera work with a 3,3V power supply. This assembly converts levels from 3,3V to 5V for Pinguino and from 5V to 3,3V for LA FONERA. The Fonera serial connector is inside the box, on the right side. 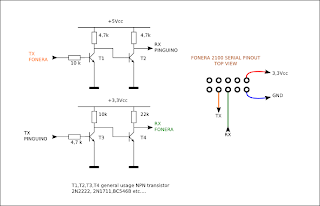 Be careful, this Pinout is only for FONERA 2100.
we worked Friday with Benoit espinola on the link beetween LA FONERA and Pinguino. It Works !! 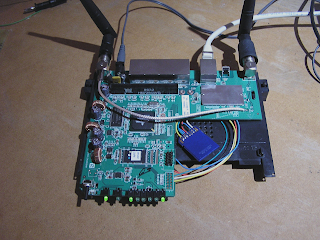 The FONERA was flashed with openwrt 7.09 and the ser2net package was installed. A small interface was build to convert 3,3V signal from the ttyS0 to 5V for the PIC UART. The last step is to link a FONERA 2 with Pinguino but it seems that i must write a driver for USB.